I began smoking in the 6th grade. In the 25 years since I’ve quit more times than I can count — sometimes for a couple of years at a time — always to eventually return to the habit. 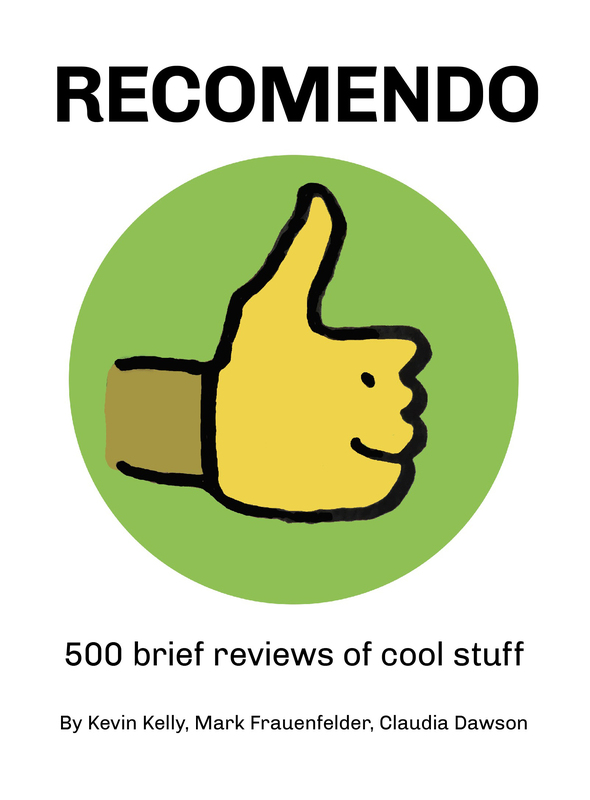 I’ve tried nicotine gum (tastes terrible), nicotine patches (itched and gave me bizarre dreams), and quitting ‘cold turkey’ (generally unpleasant — especially for those around you!). While all of these approaches deal with the underlying nicotine addiction, none of them address the loss of the social, psychological and habitual aspects of smoking. Several months ago I tried my first electronic cigarette, and I haven’t smoked a real one since. In fact, I no longer have any desire to, and don’t anticipate ever really smoking again. Electronic cigarettes satisfy both the nicotine cravings as well as the smoking habit — I actually don’t feel like I’ve given up anything, but rather gained something new. The liquid starts with a base of either propylene glycol, vegetable glycerine, or a blend of the two (this is what produces the visible vapor). Nicotine is added to this in a variety of concentrations ranging from 2.4% to 0.6%, roughly corresponding to the range available from filterles down to ultra-light cigarettes. Finally, flavoring is added — the variety of available flavors is mind-boggling, with everything from traditional tobacco and menthol flavors to fruits, coffees, and dessert flavors. The advantages of electronic cigarettes over traditional ones are numerous. There is no combustion, hence no smoke, no carbon monoxide, no tar or other carcinogens, and no risk of fire. There is no second-hand smoke, and no unpleasant smell. They can also be significantly less expensive on an ongoing basis than cigarettes — I’m currently spending about 1/3 of what I did on cigarettes. The primary health concern of e-cigarettes would be the continued use of nicotine. Nicotine’s health effects are paradoxical and are similar to caffeine in that respect — regular consumption can have both positive and negative effects depending on the individual. One of the key benefits of electronic cigarettes though is the ability to easily regulate the amount of nicotine consumed. The various concentrations offered in liquids provide an easy way to gradually step down one’s dosage if one desires. Additionally, most liquids are available in 0% nicotine concentrations, so that it is possible to entirely wean oneself from the nicotine without having to give up usage of e-cig devices. While the underlying technology is simple, there is an incredibly wide range of hardware and types of electronic cigarettes, and it can be confusing to the first-timer trying to figure out where to start. Like many people I started with a small “cig-alike” device which is similar in size and appearance to a traditional cigarette. The most popular brand of these is Blu, likely due to their mainstream celebrity advertising. While these work, they have several practical drawbacks. The batteries are small and need to be recharged frequently. The disposable cartridges don’t last very long, can have inconsistent flavor, are relatively expensive, and limit the choice of liquids and flavors. While they are a great starting point, most users who stick with electronic cigarettes will outgrow them relatively quickly. The next step up tends to be the Joyetech “Ego” system. These are the size of a small cigar and consist of a battery plus a refillable tank. Due to their popularity these have essentially become an industry standard, with a variety of manufacturers making compatible hardware. After trying several combinations of products from different manufacturers I’ve settled on the Kanger EVOD system as the best for everyday use, and it’s the system I recommend to most new users. 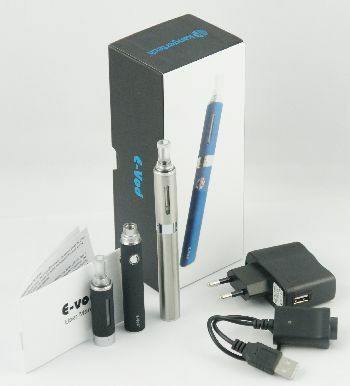 The EVOD is relatively new and addresses several problems with earlier systems. The heating coil in the tank is at the bottom rather than the top, so that the short wicks are always immersed in fluid. This prevents the wicks from going dry and prematurely burning out the heating coil — this also makes them more compatible with thicker brands/flavors of liquids. All coils will eventually burn out though, so the EVOD has an easily replaceable and inexpensive coil unit (older systems generally require you to replace the entire tank). The EVODs are also very well made and use several o-rings to ensure that the tank won’t leak. EVOD tanks are compatible with all Ego-style batteries, so you can certainly buy the tanks ($6-10) and batteries (~$20) separately, but Kanger has just released a starter kit which includes 2 batteries, 2 tanks, 5 replacement coils and a charger for about $50 – this is a great deal if you’re just starting out, and the easiest way to get into a vaping system that you’re not likely to outgrow right away. A big part of the attraction of vaping is the ability to try many flavors to find the ones that are perfect for you. In that respect it’s more akin to the world of cigars or pipes than cigarettes, where it can become a bit of a hobby rather than just a habit. There are a lot of small liquid producers and importers, but it’s a largely unregulated field and it can be difficult to determine the quality and source of their liquids — many of them come from China and there have been questions raised about the quality control and safety of the ingredients used. Personally I feel it’s best to stay with domestic brands who provide information on their ingredients and are committed to a high-quality product made with pharmaceutical-grade ingredients under laboratory conditions. The largest of these is Johnson Creek, and their “smoke juice” is highly regarded as one of the highest quality on the market. I’ve tried several of their flavors and have been very happy with them. One of the best resources I’ve found for reviews of hardware, liquids and general information is Spinfuel Magazine. Unfortunately their site is a little busy and can be difficult to navigate, but their content is unbeatable; they’re dedicated to being a beginner-friendly resource as well as providing useful information to more experienced vapors. They also have fairly strict guidelines about the liquid suppliers they’ll review which makes it much easier to identify quality manufacturers and stay away from liquids from questionable sources. The e-cigarette world is young and has largely been the domain of early adopters, but has grown rapidly in the past few years and looks poised to explode into mainstream awareness soon. The manufacturers and retailers have been careful not to market their products as smoking cessation devices in order to avoid being regulated as medical devices (although the FDA is due to report findings in April of this year and will likely begin to regulate the market). Nonetheless, based on my experience and the anecdotal experience of many other users online, I feel they provide the first truly effective alternative to smoking — whether you just want a healthier alternative or are looking to quit nicotine all together. Even given concerns over continued use of nicotine they provide a significant level of harm-reduction to smokers, and I think anyone who smokes owes it to themselves and their loved ones to give them a try.